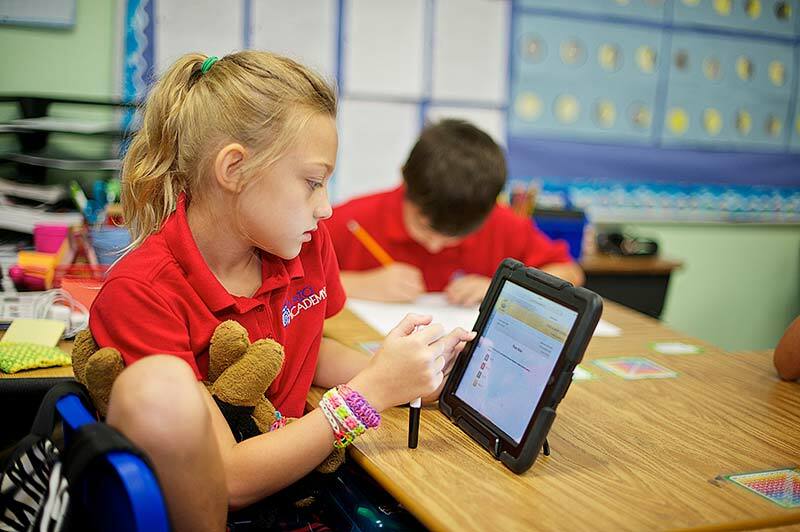 Plato Academy has the largest deployments of iPads and iPad Mini’s in Pinellas County! All middle school students have laptops in all schools. There are currently more iPads and laptops than students so no student is without access to technology. 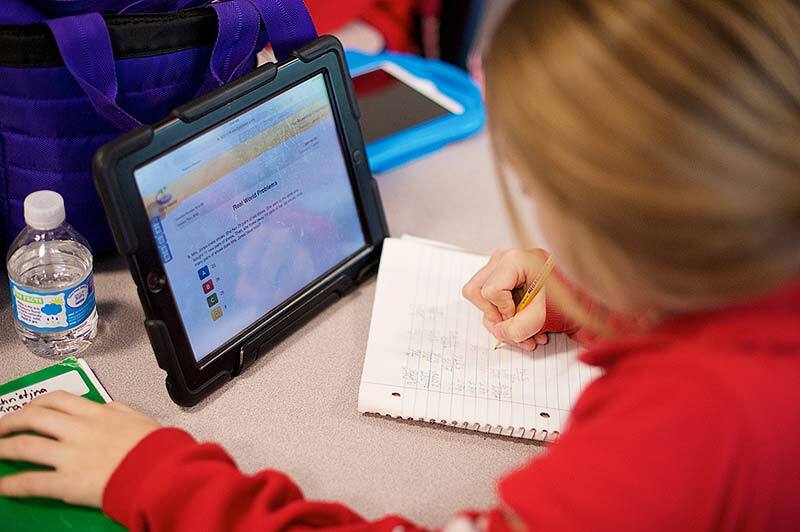 With over 100+ apps, safe and secure internet access, flexible and accountable policies, and enterprise level management, the iPad program has been integral in keeping students engaged and excited about their education. 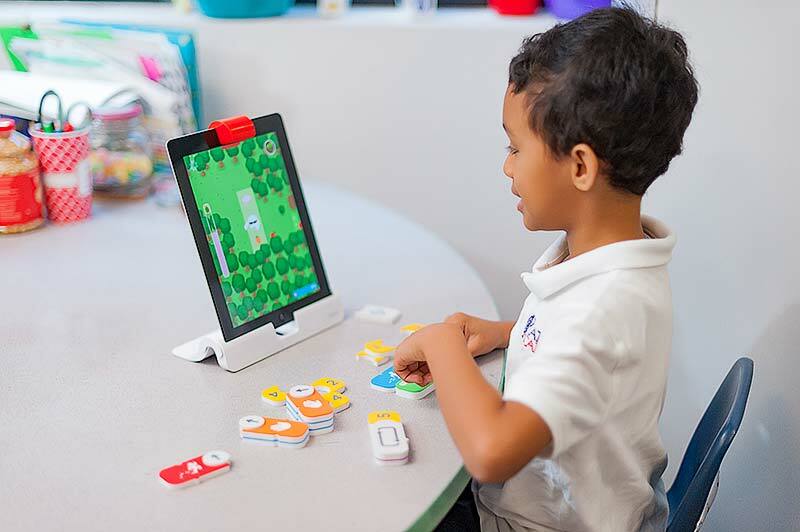 Plato Academy is in the constant pursuit of being ahead of the curve concerning ever-changing technology. 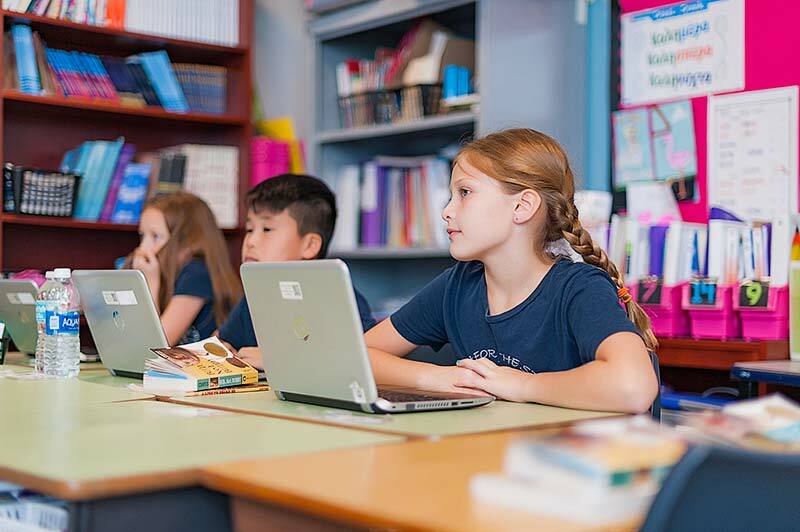 We are the first school in the state of Florida to have a Smart Board in every classroom from Kindergarten to 8th grade in all of our campuses. Our websites are also interactive so that parents and teachers can use them to make their daily tasks and communication easier. Plato Academy is committed to building a digital library of eBooks that are available at the student’s fingertips. Access to download all eBooks and Audio Books from the Pinellas County Library system, free or purchased books from Amazon Kindle, Apple iBooks, iTunes University, Google books, their own PDF or ePub, the selection of eBooks is as vast as it is valuable. Plato Teachers and Students have begun creating their own iBooks relevant to their subjects and shared with all our schools. Plato Academy has embraced the latest in Cloud Computing and Virtualization technologies to implement an infrastructure that is secure, expandable, data redundant, device independent and globally accessible. With the Mobile access revolution occurring today, parents and students expect real-time/anytime access to information whether at home, at work or on-the-go. Virtualization of data and access makes communication and data dissemination seamless and transparent for all Parents, Students, Teachers, and Administration. The electronic resources available to Plato Academy students include over 1200+ iPad and iPad Mini’s, 700+ Laptops, 100+ Smart Boards, enterprise-level security and internet access. Subscriptions to industry leading academic services such as, Raz-Kids, Brain Pop, Khan Academy, just to name a few ensure students have the enjoyable online educational resources and teachers have the evaluation tools necessary to quickly and accurately evaluate student performance and immediately take appropriate intervention should any student show difficulty in any area of study, ensuring progressive child development. Plato Academy has implemented state-of-the-art websites that form the basis for communication, information dissemination to parents, students, staff and the public interested in knowing more about Plato Academy. Each teacher and class have their own websites which are updated daily with assignments, homework, school and class goings on, sports and events and well as self-service information management. Availability of on-line payments for school and extracurricular services, account balances, student grades and many future services in the works makes Plato Academy web services leading edge, not just in Pinellas County, but in the state and the nation.